Mount Agung Trekking Trails – Are you an adventure lover or a challenge conqueror? If yes, you must make the climb up to the summit of Mount Agung. Why? 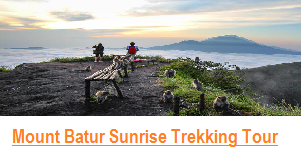 Because Mount Agung is the highest mountain in Bali and it is also the toughest one to be conquered by trekkers. Before you decide to make the climb of this high mountain, it is a good idea to read the first 7 things you must know about Mount Agung. 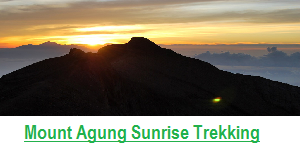 The review is of great use before you go hiking and trekking in Mount Agung. Here is the review. In fact, there are 4 real mountains that can be climbed in Bali. They are Mount Batur, Mount Abang, Mount Batu Karu and Mount Agung. The others are actually hills and hilly high lands. 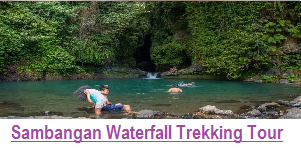 During your holiday in Bali, perhaps you will get so many offers of Bali Hiking Package, but you should know that not all of them are conducted on the real mountains. Some of them are carried out in the hills, rice fields and forest. The interesting thing about Mount Agung Trekking Trails is that this mountain provides the most challenging trekking and it is the highest mountain in Bali. Based on the measurements, the height of Mount Agung reaches 3,031 meters above sea level. Suppose that you have successfully climbed the highest point of the mountain, it means that you have conquered the highest point on the island of Bali. And that is a truly unforgettable experience. Secondly, another important thing you should know is that extreme temperatures belong to this high mountain. The ascent to Mount Agung normally starts at about mid night. At the starting point of the climb there were not so cold temperatures, you might think of using T-shirts and shorts as the right choice. However, you need to reconsider your ideas because some parts of the mountain before reaching the summit, the temperature can reach 0 degrees Celsius or even minus degrees Celsius. In addition you will also be confronted by the strong winds. This is really a lethal combination for trekkers to conquer on the summit of this mountain. Thirdly, Ascents to Mount Agung can be carried out through two channels. 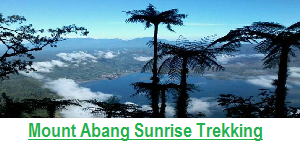 They are through the ascent of Pura Besakih in Rendang district and Pura Pasar Agung in Selat district. 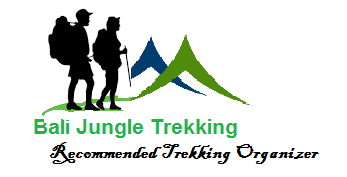 You need to carefully choose which path you will choose according to your convenience as trekkers. If you use a tour operator, please make sure that you ask first which path to use. The difference of the two paths is in the distance, trails difficulty and the peak that you will reach. If you choose the ascent through Pura Besakih, you will go through a longer distance but it will arrive at the top. But if you choose the passing lane of Pura Pasar Agung then you will not arrive at the summit, but the passing lane is nearer. The fourth thing is that If you choose to make the climb through path Pura Pasar Agung, your travel time will last for about 3 hours to reach the top and 2.5 hours to get to the starting point of the climbing. However, if you choose the path through Pura Besakih, then you will reach the peak travel time of about 6-7 hours and 5 hours to get to the starting point of the climbing. Wow….That’s quite a long duration for a normal trekking activity. The long duration of the trip through Pura Besakih route is often used by climbers to camp at the midpoint of Gunung Agung (Kori Agung). Usually they will depart in the morning of Pura Besakih and achieve Kori Agung around noon. They will spend the night by camping, before they continue their journey towards dawn. For those of you who are not so strong to make the climb, this is the best option that you can choose. Trekking which is combined with camping will also be an exciting tour package. As the proverb says, Beauty is in the eye of the beholder. The beautiful view is something very relative if you have reached the summit of Mount Agung. The summit of this highest mountain which is located at an altitude of 3,031 makes a flat view of the island of Bali. No interesting view of the plains of the island, but if you look to the northern part you will find an extraordinary views of the caldera. The combination of blue sky mixed with barren view of the top of the mountain gives a magnificent combination. 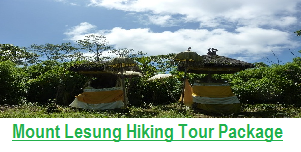 But for me, what’s most interesting of Mount Agung Trekking Trails is the experience. Experience is the best teacher as a proverb says. Balinese Hindu people believe that Mount Agung is a sacred place. They believe that Mount Agung is the palace of the gods so that the mountain is purified regularly with spiritual ceremonies. There are Shrines which are built on mountain slopes as the embodiment of devotional of Hindu people. Two most well-known temples are Besakih temple and Pura Pasar Agung. However, at the top there is also a temple but it was not built like other ostensibly, so that many Hindus who pray in the ascent to the summit of Mount Agung. Those are the 7 Things You Have to Know before deciding to make a hike on Mount Agung Trekking Trails. 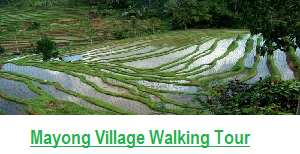 Please be sure to read it first so that you might prepare very well and get your best hiking adventure for your holiday in the tropical island of Bali.